Roll On Bottles are small cylindrical bottles with usually a metal or plastic ball on top. This packaging is commonly used for lip-gloss, perfume, diluted essential oils in carrier oil, or eye serum. 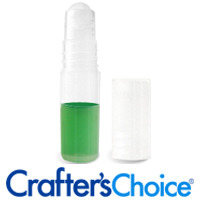 This 0.13 oz (4 ml) plastic roll on bottle is great for sample products! Best Shrink Wrap Band: 28x63. 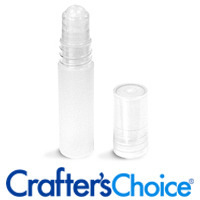 This 0.16 oz (5 ml) frosted roll on bottles are a great addition to any product line! Best Shrink Wrap Band: 28x70. 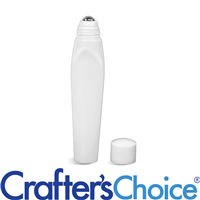 Our 0.5 oz (15 ml) Tubular Roll On Bottle is great for homemade perfumes and any other liquid based cosmetic formulation. 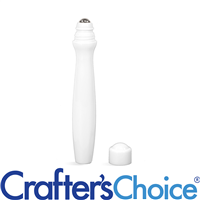 Use this 0.6 oz (18 ml) white, plastic roller bottle for any liquid based formulation including eye serum and perfume.